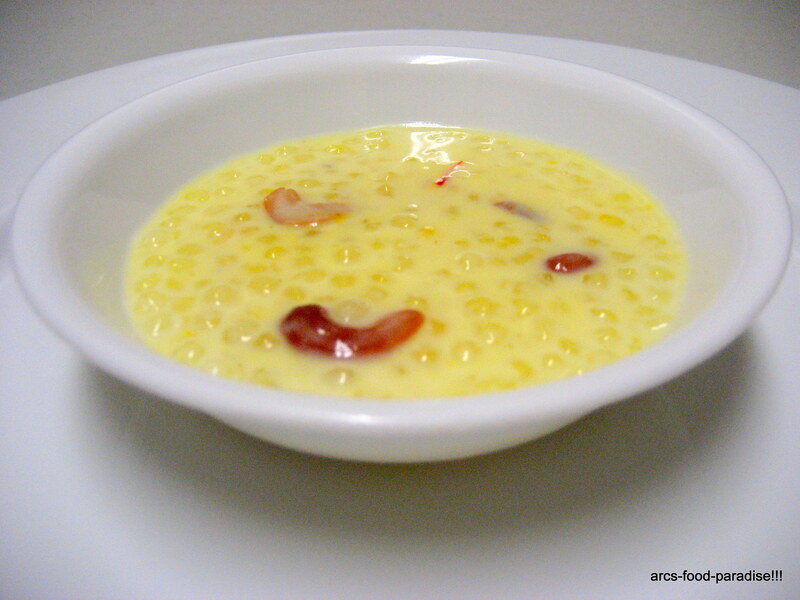 Sabudana Kheer/Tapioca Pudding | The Flavor Nook! 1. Soak Sabudana in a bowl with water for about 20 to 25 mins. Drain all the water and keep it aside. 2. In a cooking pot, take milk and slowly bring it to a boil stirring constantly making sure it is not getting burnt at the bottom. 3. Add finely crushed cardamom seeds and saffron threads to the boiling milk now. 4. Now, add the soaked sabudana to the milk and further boil for about 8 to 10 mins until the sabudana are very soft. 5. In a small pan, take about 2 tsps of ghee. Add cashews and almonds (chopped or whole) and fry for a minute or two until they are slightly brown. Add few of these to the pot and give a quick mix. 6. Garnish with the remaining cashews and almonds. Serve it just as a dessert or along side with puris for a weekend breakfast/brunch. Its an easy, quick and delicious sweet which your family is sure to love! Pingback: Besan Laddu | Food Paradise!